There’s nothing like a pop of red, or even ruffle for that matter, but lately, I have been investing in red. It pops, looks great in photo’s and events, and doesn’t show stains as much as white. I’m sold. 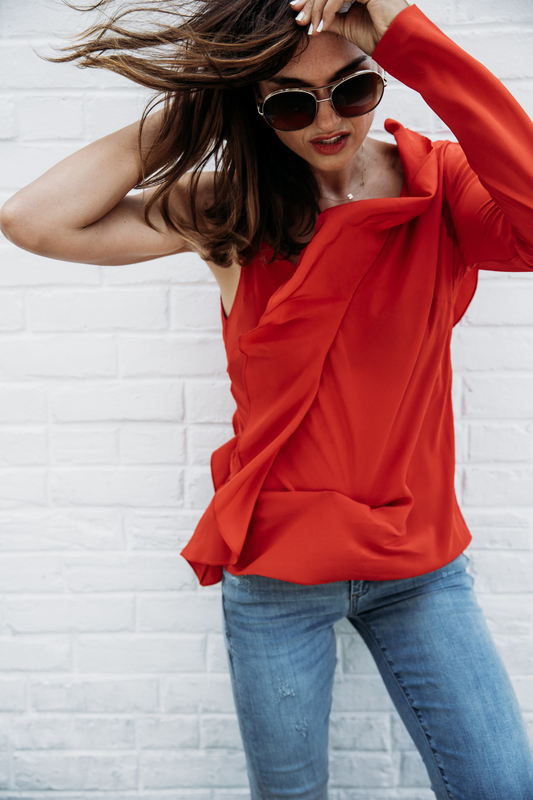 Ruffle plus cold shoulder is a plus. This top hits all the boxes but sadly only a few sizes left. I really can’t wait for the weekend, we’re going to do a last minute stay cation. Any ideas where?